The catalog contains more than 1,100 items including publications, books, videos, and other educational materials developed by subject-matter specialist to assist people across Tennessee. ALL PUBLICATIONS are free to access and print from our online catalog, however, select professionally printed publications are available to purchase. View publications available for purchase. 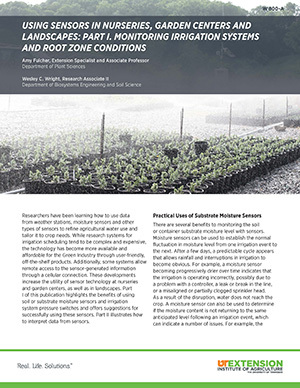 Highlights the benefits of using soil or substrate moisture sensors and irrigation system pressure switches and offers suggestions for successfully using these sensors. 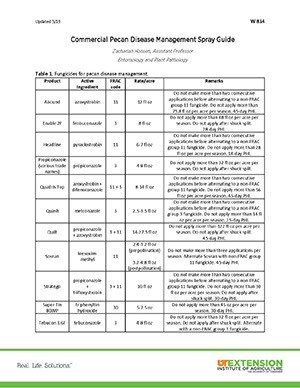 Contains a list of fungicides for pecan disease management as well as a spray schedule. The risk for a cow acquiring mastitis is highest during the early dry period. 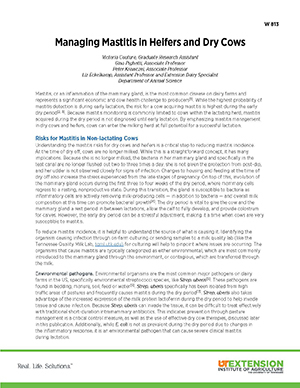 Learn how mastitis management in dry cows and heifers can help cows enter the milking herd at full potential for a successful lactation. 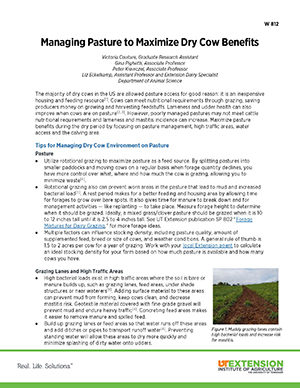 Learn how to maximize pasture benefits during the dry period by focusing on pasture management, high traffic areas, water access, and the calving area. 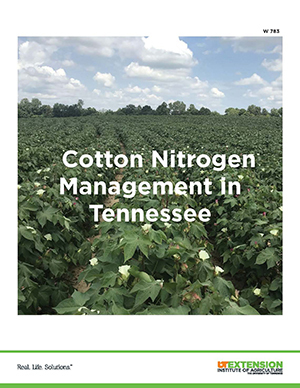 This publication introduces concepts related to N fertilizer management and provides in-depth, localized information that is essential to sustainable N management in Tennessee. Soil test labs, including UT's, in Tennessee use different soil testing procedures or philosophies when making fertilizer recommendations. 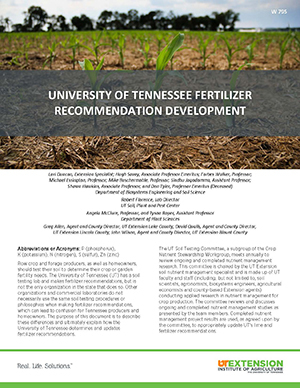 This document describes these differences and explains how UT determines and updates fertilizer recommendations. If you have any questions please contact your local county Extension office or Marketing and Communications Services.